You know what’s more exciting than an online store? An online store that stocks all of your hijab accessories, modest wardrobe needs and some Islamic goodies too. And where can you shop for all of these, you ask? Well, at no other than Damasq and Hijabi! And even more excitingly, I was recently sent a neat package from Yasina, the mastermind behind Damasq and Hijabi, filled with wonderful products that are currently available for purchasing online. So, I thought why not share my views and reviews on all of the loveliness that I have received?! I think it was YaztheSpaz that made this not-so-little accessory famous, though I could be wrong. Anyway, this scrunchie was made to rival the ever so famous flowerclip/camel-hump clip, that most know and love. As I have mentioned before, I’m not a fan of the camel-hump hijab style, it’s just not who I am or what I’d wear. The most volume that I’ve ever had at the back of my head, was produced by the nifty little donut ring (which you can find here), so I wasn’t too keen on this scrunchie. However, I was quite pleased with the results! I found that the scrunchie gave me the perfect amount of volume and my head looked quite normal too – no alien-like resemblances, I swear. I also loved that even after wearing it for over 8hours, I experienced no headaches and my hair stayed intact – there was no need for tying and retying my hair. I used the scrunchie as a bun reinforcer, so I basically styled my hair into a bun and secured the bun with a hair-tie and then reinforced the bun with the scrunchie which I tied twice over my bun. The scrunchie does feel sort of weird as its texture is quite velvety, which makes me squirm when I touch it but I guess the velvet fabric is what makes it stay on your hair. To be honest, it’s definitely a product you should look in to if you’re in need of some volume for your hijab or if you have issues with having your hair coming loose or your bun getting undone. 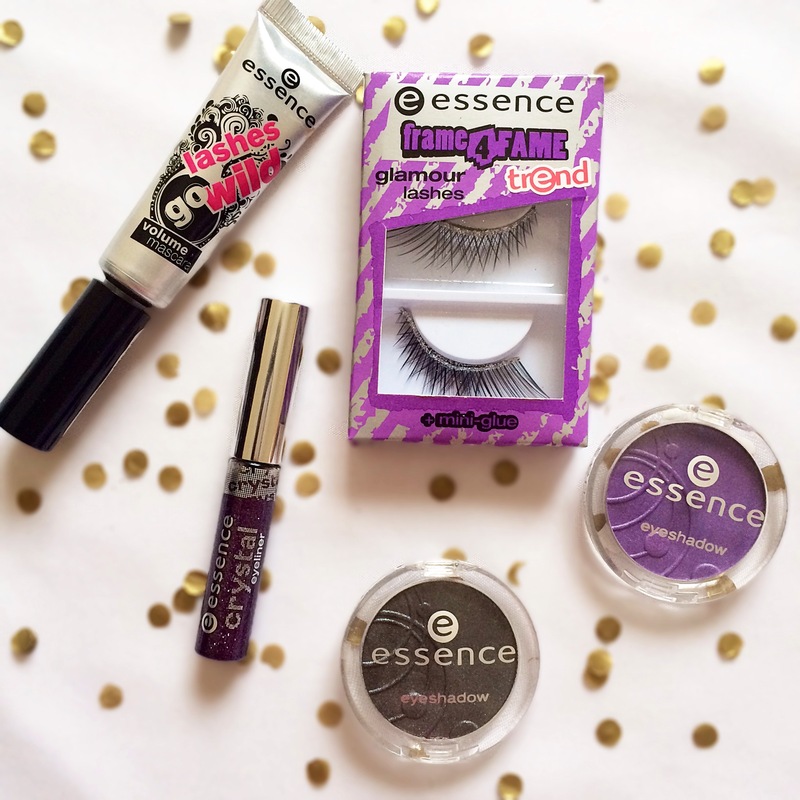 You can find it here for just R70! 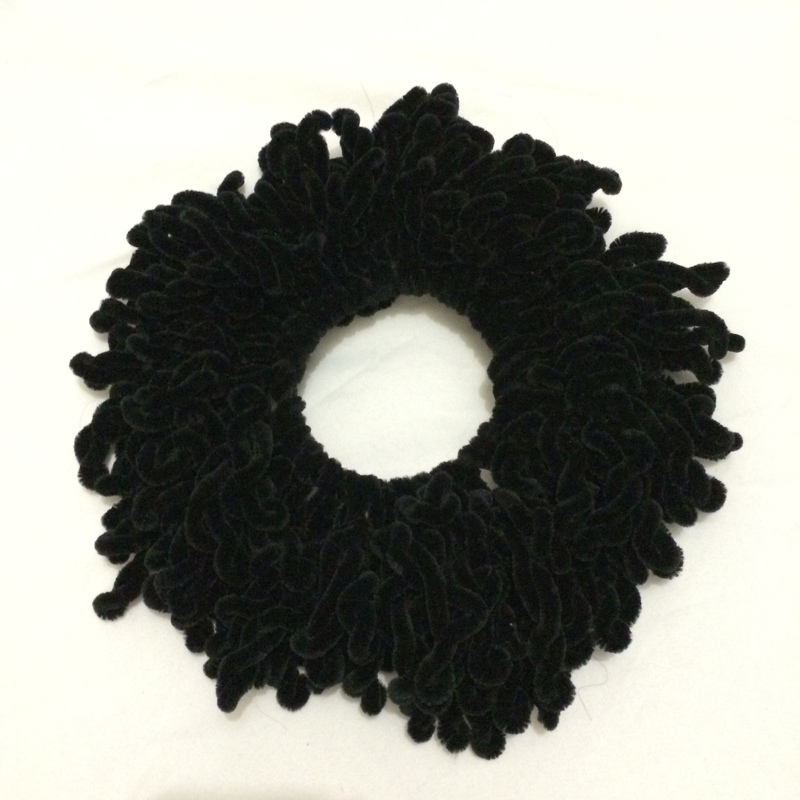 This snood/infinity/loop scarf is from the famous hijab/modest wear design house, Shejab. 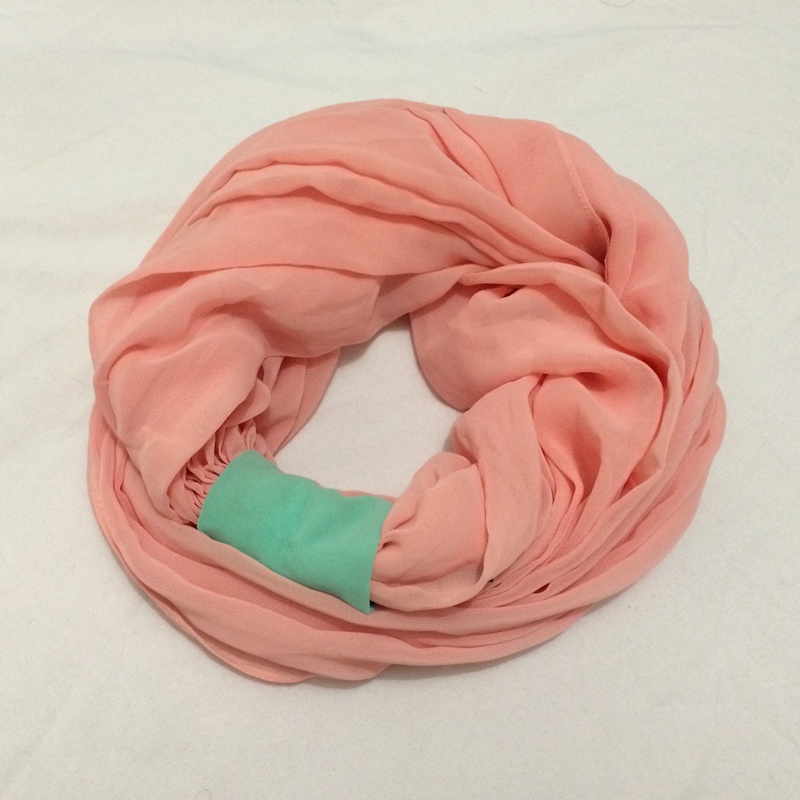 It’s made from a high quality cerutti chiffon that isn’t scratchy or annoying and has a super cute mint velcro ring that covers the join in the scarf (coral+mint are my fav colour combos!). Now you’re meant to wear this scarf as a ‘hood’ with an underscarf for more coverage, like how the model is wearing it in the image below. But if you’re a turban fan, you can always double loop the scarf around your neck and pair it with a bold and funky turban. It’s also great for the colder months, when your neck is craving some extra warmth. I recently wore mine with a hijab cap underneath and simply pinned it, from the inside, below my chin in order to cover my neck- so you can see it’s quite versatile when it comes to styling it. I love that it is easy throw on and effortless too. When I wear it, I honestly feel like I’m not wearing a scarf due to how light and airy it is. It’s perfect for our hot Summer months. 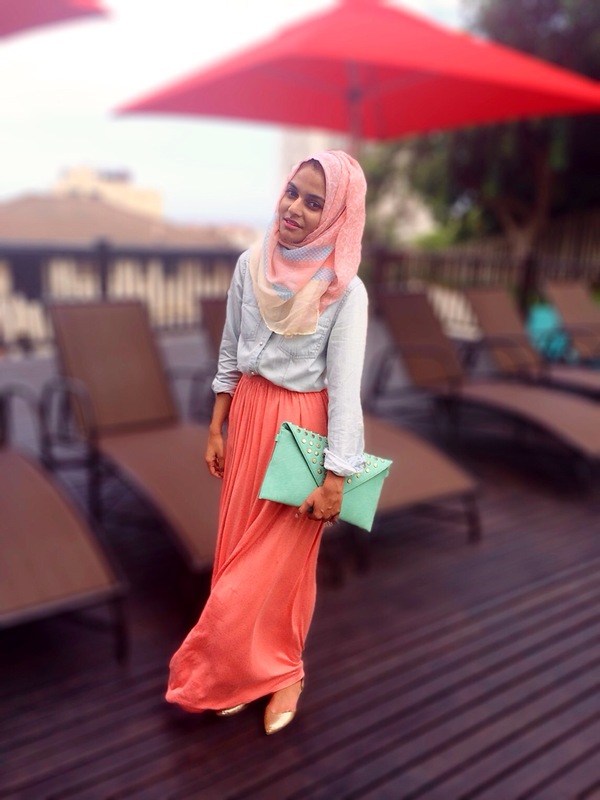 If you’re interested in purchasing this gorg coral+mint ring hijab, you can find it here and here. I love maxi hijabs! They’re easy to drape, style and they enable you to create the folds that you desire. They also offer plenty of coverage for both your hair and neck area, so it’s easy to see why they’re becoming more and more popular as the days go by. This particular one, is almost double the width of regular hijabs which makes the desirable folds totally possible. It’s also very soft and is 100% viscose which makes draping and styling that much simpler. The colours on this one is really pretty too, there’s a ton of coral with strips of lemon and sky-blue thrown into the mix. I’m always a fan of scarves that have a few colours incorporated into the design as it makes creating an outfit along with accessories so much easier because your mind will draw inspiration from the colours used to create the scarf. 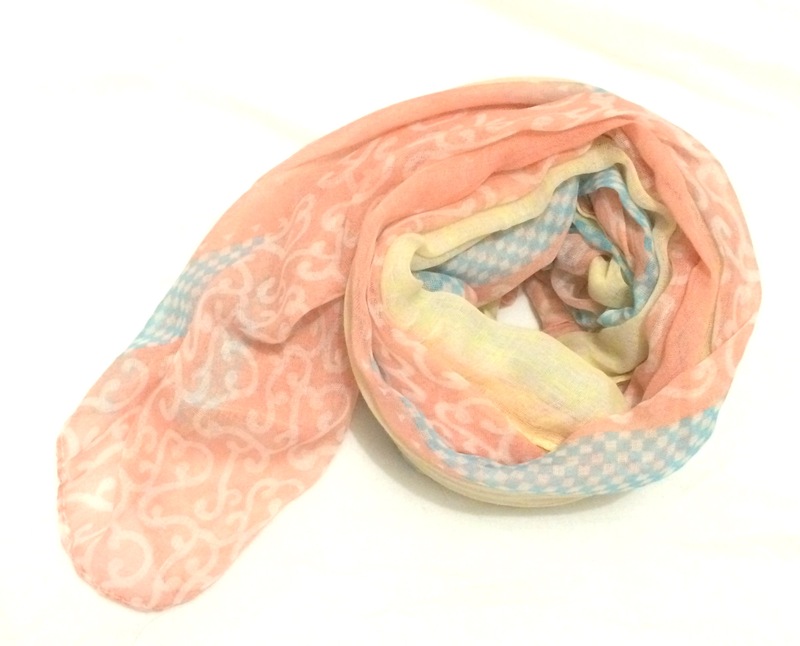 If you love this scarf and simply must have it, you can find it here. Let me start off by saying, I don’t wear abayas. I don’t find them appealing at all and always feel so restrained whenever I do wear one. I haven’t worn an abaya for the past 2 years and I’m quite okay with that. However, during December, I visited both Souks in search for a plain black abaya – why? Because every single black maxi dress that I did find was too tight or too short or just not what I wanted. Unfortunately, my search was fruitless, so all of that walking and keeping my eyes peeled was for nothing. After a few days of sulking and major emoness, I hopped on over to Damasq’s FB page and saw this beauty of an abaya and the lovely Yasina was kind enough to send it over to me! Now as I said just now, it’s been like 2 years since I’ve worn an abaya so I was expecting myself to have mixed feelings on how the abaya looked on me – but I’m quite happy to admit that I was, well, happy with the result. I honestly feel it’s more like a dress than an abaya as it fits much better than an abaya usually would. The cut is quite a slim one, so there isn’t any bulkiness but neither is there any hugging of curves (not that I have any, but #justsaying). So, it’s still as modest as an abaya would be but a tad more flattering. 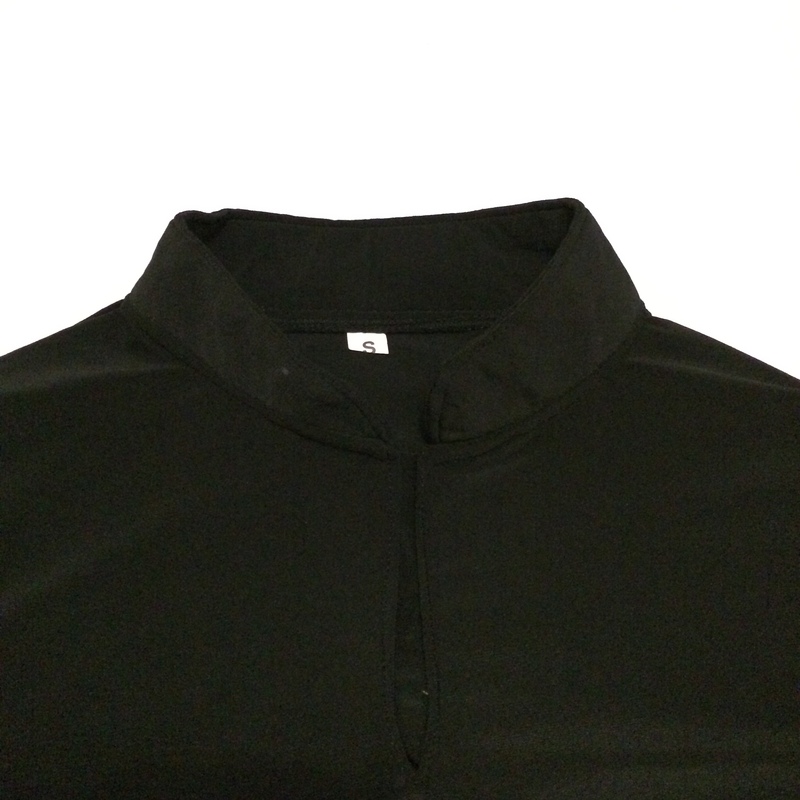 The fabric is also very cool and lightweight and doesn’t stick to your body which is much appreciated. It’s wonderful for days that are hot and sticky and even for those functions that are hosted in venues without AC’s, you know those ones in which you feel like you are about to collapse if a cool breeze doesn’t present itself? Yeah, it’s perfect for those. The abaya is also easy to style, you can choose to wear it plain, or slap on a studded waistbelt for a glam look or you can pair it with a structured blazer and a skinny waistbelt for a more put together look. Black is just an easy colour to style and play with, so just have fun with it! I honestly wish I wore turbans, that way I’d get to show off the cute Chinese collar but I guess as long as I know it’s there, that should suffice! 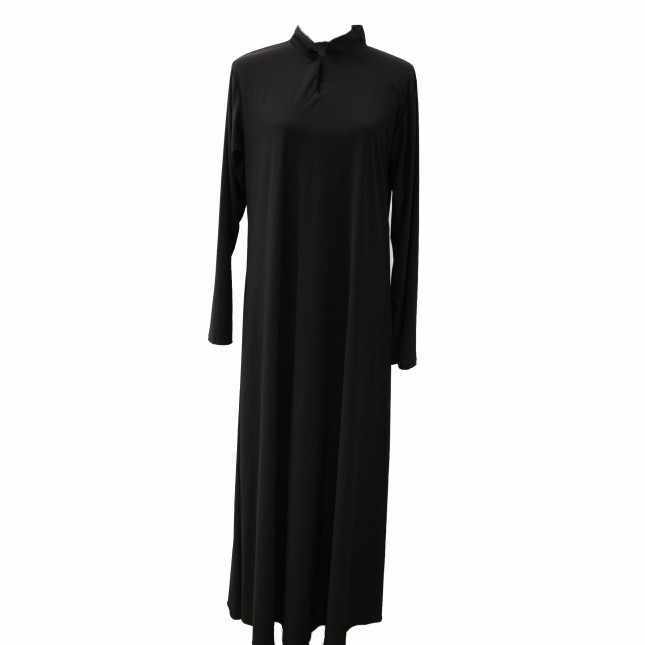 If you’re keen on this abaya or have been looking for a plain black abaya/maxi dress, this one is perfect for you. And at only R299, it’s a steal. You can find it here. Oh yes, Damasq is having a sale on a few of their items, so you may want to check that out. And also, I’ll be featuring all of the above items in upcoming OOTD posts that way you can see why I love every item! But, in the mean time, happy shopping 😊.